Sannio, which manages to produce some of the world's richest and most age-worthy wines, is a hilly area north of Naples, straddling the provinces of Benevento and Avellino in the heart of the Campania region. It extends over the historical grape-growing region of Samnium, the land of the Samnites, a pre-Roman population. Its historical heritage was mentioned in the works of the philosophers Plinio, Catone and Orazio, who described the wines as having a "slightly smoky aroma" and an "intense resinous scent". Much of the land where Aglianico is cultivated is of volcanic origin and, therefore, the complexity of the soil and generally cool microclimates of these vineyards allow for complex and highly evocative wines. Martummé is an austere 100% Aglianico organic wine that places emphasis on richness, elegance and sophistication. 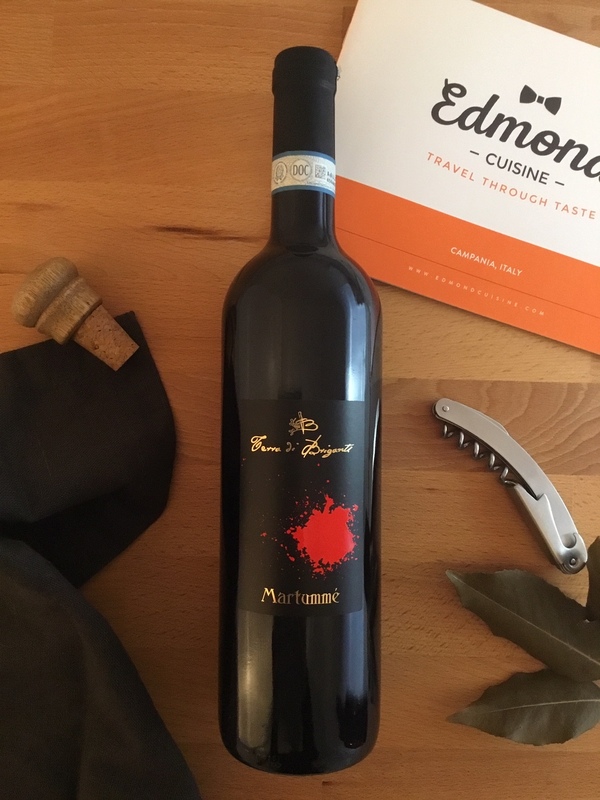 Full-bodied, deep and intense on the palate, it delivers a long succession of spice, leather, tobacco, red and black fruit aromas and notes of vanilla, with a long persistent finish. Aged for 10-12 months in small French durmast casks (barriques). Look to pair this wine with a good Pecorino cheese.